"Romance of the Three Kingdoms" written by Luo Guanzhong in the 14th century, is a Chinese historical novel based upon events in the turbulent years near the end of the Han Dynasty and the Three Kingdoms era of China, starting in 169 and ending with the reunification of the land in 280. 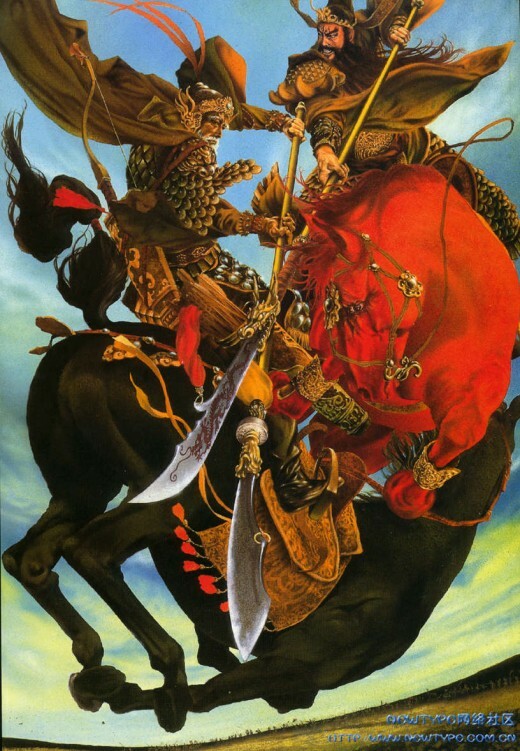 Three Kingdoms is acclaimed as one of the Four Great Classical Novels of Chinese literature; it has a total of 800,000 words and nearly a thousand dramatic characters (mostly historical) in 120 chapters. It is arguably the most widely read historical novel in late imperial and modern China. 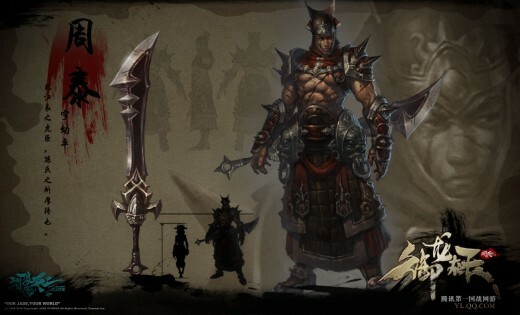 Besides being matchless on the battlefield, especially in man-on-man duels, LÃ¼ Bu was also notorious for having betrayed and slain two separate lords (who were both his adoptive fathers). He was perhaps most well-known for his amorous relationship with the possibly fictional Diao Chan, which led to his slaying of Dong Zhuo, the tyrannical warlord who held the Emperor Xian in control as a puppet ruler. 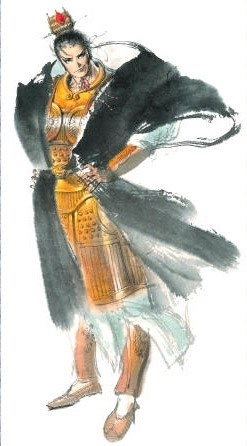 Throughout the semi-fictional novel Romance of the Three Kingdoms, LÃ¼ has been depicted as a ruthless and impulsive warrior who has no sense of loyalty and sympathy. LÃ¼ Bu was eventually defeated and captured by Cao Cao at the Battle of Xiapi. At Liu Bei's suggestion, Cao Cao had LÃ¼ Bu killed by hanging. Guan Yu (162–219) was a general serving under the warlord Liu Bei during the late Eastern Han Dynasty and Three Kingdoms era of China. He played a significant role in the civil war that led to the collapse of the Han Dynasty and the establishment of Shu Han, of which Liu Bei was the first emperor. 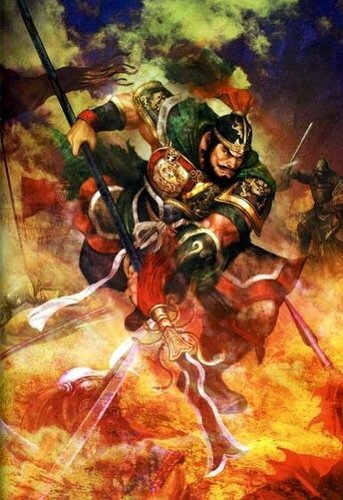 As one of the best known Chinese historical figures throughout East Asia, Guan Yu's true life stories have largely given way to fictionalized ones, mostly found in the historical novel Romance of the Three Kingdoms or passed down the generations, in which his deeds and moral qualities have been lionized. Guan Yu is respected as the epitome of loyalty and righteousness. 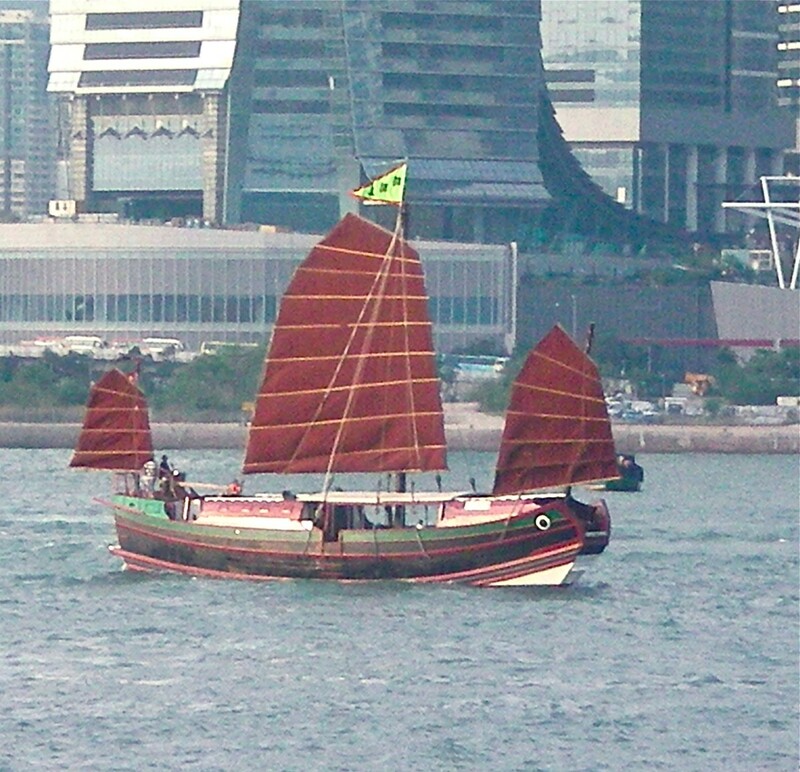 Guan Yu was deified as early as the Sui Dynasty and is still worshipped by some Chinese people today, especially in southern China and Hong Kong and their descendants overseas. He is a figure in Chinese folk religion, popular Confucianism, Daoism, and Chinese Buddhism, and small shrines to Guan Yu are almost ubiquitous in traditional Chinese shops and restaurants. Zhang Fei (167 - 221 AD) was a military general of Shu Han during the Three Kingdoms era of China. Zhang Fei was shown to have been a masterful general rather than simply a warrior. He treated his superiors with respect, but had little respect for his underlings. He was often warned by Liu Bei that his habit of over-punishing his own soldiers by lashing and killing would eventually bring himself disaster. Zhang Fei married Xiahou Yuan's daughter, who was captured by Zhang Fei's troops as she was out gathering firewood. They had a total of two daughters, and the older daughter became the empress of Shu Han after marrying Liu Shan, with Zhuge Liang as the matchmaker. After Zhang Fei's eldest daughter had died due to natural causes, Zhuge Liang once again played the role of matchmaker, and Liu Shan married Zhang Fei's younger daughter, who thus succeeded her older sister to become the empress of Shu Han. Zhang Fei is best portrayed through his description and actions depicted in Records of Three Kingdoms biography by Chen Shou. Some claim that Zhang Fei was also an excellent painter. While preparing for war against the Eastern Wu to avenge the death of Guan Yu, Zhang Fei ordered two of his men Zhang Da and Fan Jiang to prepare mourning clothes for his entire troops within three days. This impossible task led to the beatings and threat of beheading of Zhang Da and Fan Jiang, and was later the cause of Zhang Fei's murder. 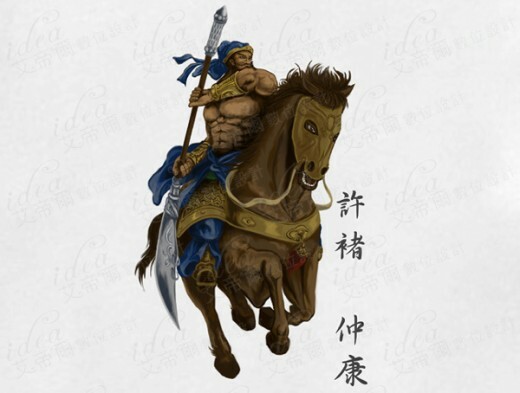 Xu Chu was a warrior living in the late Eastern Han Dynasty and Three Kingdoms era of China. 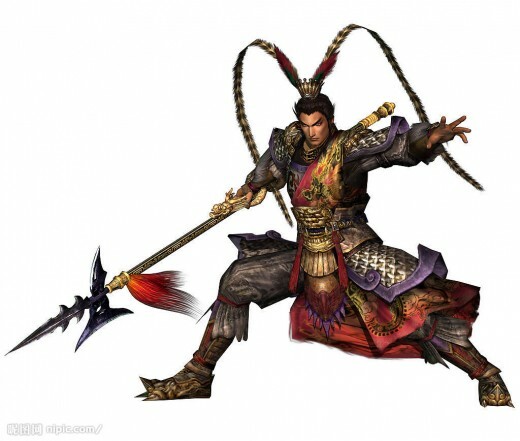 He served as a bodyguard to the powerful warlord, Cao Cao. Gigantic and strong, yet simple-minded and honest, Xu Chu was referred to as "Tiger Fool" by his fellow men. 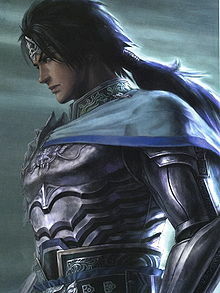 He continued to serve under Cao Cao's successors, Cao Pi and Cao Rui, until his own death, upon which he was given the posthumous title of Marquis Zhuang, literally meaning the robust marquis. Zhao Yun (? - 229) was a major military general during the civil wars of the late Han Dynasty and during the Three Kingdoms era of China. For most of his career, Zhao Yun served the warlord Liu Bei, playing a part in the establishment of Shu Han. 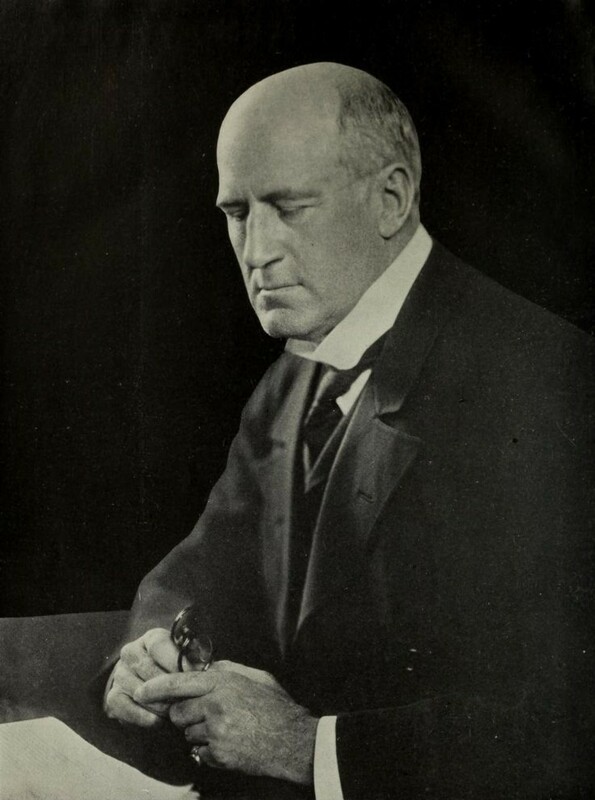 In literature and folklore he is lauded as the third member of the Five Tiger Generals. Due to the limited historical records, many facts about Zhao Yun's life remain unclear or unknown. The original records in Chen Shou's Records of Three Kingdoms are only a couple of hundred words long. Pei Songzhi's annotations provide a relatively clear, though still incomplete picture of Zhao Yun's life. Sun Qun held [Zhou Tai’s] arm, and tears crossed his face. He called him by his style name, saying, “Youping, you have fought as brave as a bear and a tiger for us two brothers. Not holding back your own life, you have been wounded in several tens of places, and your skin is as if it’s been etched on. Can I not treat you as one of my brothers, and bestow the powers of command upon you? 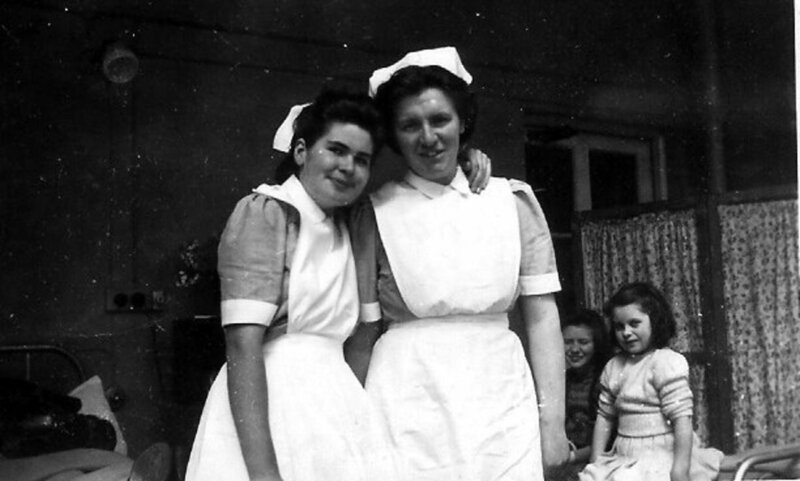 You have done great service for Wu, and I would stand with you whether in honour and shame, and share with you in joy and sorrow. Youping, be merry. Do not let the fact that you lack pedigree make you back down from your tasks!” And at that he commanded for the imperial silk parasol of blue veils to be bestowed upon Zhou Tai. After all that, he had his mounts prepared to go, and ordered Zhou Tai lead the way out, in the midst of drums and horns. Chen Uen (December 27, 1958) aka Chen Wen, Cheng Wen, Zheng Wen is a Taiwanese manhua artist (Nationality in Japan). Some of his works include Magical Super Asia, Banzai and The First King. He also work as an illustrator for Koei's Romance of the Three Kingdoms PS2 game series, a very talented artist! Hmm - you could do with replacing those default module titles. Anyway - I enjoyed the content, and the beautiful imagery. There are a number of films about the 3 kingdoms also worth mentioning, and I bet that by finding the Pinyin Chinese for the name of the legend you'd bring a mass more visitors in. A good lens anyway!